William (Bill) H. Goodrich began his construction career as an assistant project manager for John P. Bell & Son, Inc. prior to bringing his knowledge and experience to LeChase in 1985. Since that time, Bill has been an integral part of the LeChase team, serving in a variety of progressive roles throughout the span of his career. 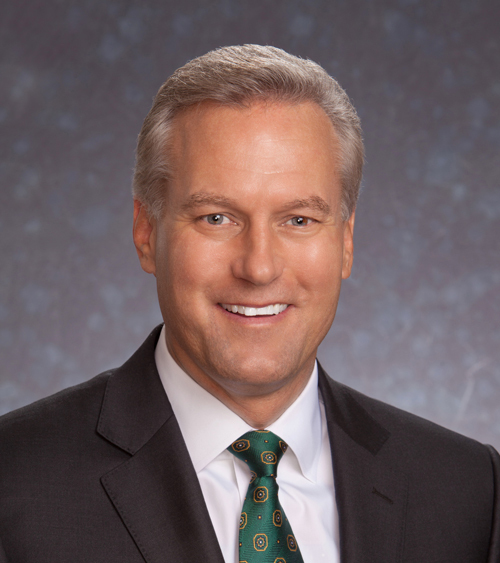 Bill was appointed vice president and partner in 1995, chief operating officer in 1997, president in 2002, CEO in 2007 and managing partner in 2008. Currently, as CEO and managing partner, Bill is responsible for setting the strategic direction of the organization, defining the culture, promoting a safe and healthy work environment and driving customer engagement. He also mentors and empowers the executive management team through the entire organization to always do the right thing. Bill’s drive to elevate LeChase has led the firm in continuous adaptation to changing market conditions, increased revenue growth and driven organizational performance. He has overseen mergers and acquisitions as another way to strategically fortify the business. LeChase acquired C.C. Woods Construction Co. in Durham, N.C., in 2005; Northeast Construction Services in Syracuse, N.Y., in 2010; J. F. Schultze Construction in Charlotte, N.C., in 2011; and C. W. Brown in Armonk, N.Y., in 2015. In 2016, the company purchased Lendlease construction offices in Upstate New York and Raleigh-Durham to expand the organization’s talent and strength along the East Coast. Bill is actively involved with several affiliations both regionally and nationally. He is a board member for the Greater Rochester Chamber of Commerce, Greater Rochester Enterprise, CMAC Performing Arts Center, Hillside Children’s Center and Lifetime Healthcare, and for many years supported Rochester Careers in Construction—a program that connects high school faculty and students with experts in the construction industry. He is a former board member for Nazareth Academy School, Junior Achievement, Boy Scouts of America and Rochester Downtown Development Corporation. He is also a member of the Associated General Contractors of America. Bill earned a B.S. degree in business from Roberts Wesleyan College and an A.A.S. degree in construction engineering technology from Alfred State, the State University of New York College of Technology, where he was also the recipient of a President’s Medallion in 2010 and an honorary Doctor of Humane Letters degree in 2014. He completed the Harvard Business School’s OPM program—an eMBA-style professional development program—in the spring of 2016. Bill is a true champion of the core values that personify LeChase: safety, integrity, quality, customer care, diversity, family and community.